A smart interior designed 1 bedroom 3rd floor apartment set within this superb development close to the open spaces of ..
A bright and spacious newly refurbished raised ground floor flat set in a well maintained period building on Gloucester Terrace. ..
A charming One Bedroom flat on the 1st floor of this popular purpose Built Block a short walk from the .. This recently refurbished studio flat is located in this well located portered block close to Baker Street, Marylebone Stations and .. This recently refurbished, generously proportioned 1 bedroom apartment is on the 1st floor of this popular block located close to .. Arranged over three floors with its very own entrance, this maisonette has the feeling of a house. Entering on the .. This spacious modern ground floor apartment consists of 3 bedrooms with the master bedroom being en-suite. The living/ dining area .. This spacious modern second floor apartment consists of 3 double bedrooms with the master bedroom being en-suite. 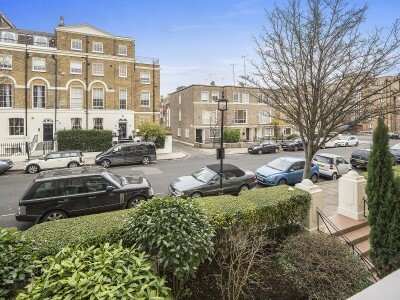 The living/ dining ..
An extremely spacious, four/five bedroom duplex apartment situated on the second and third floors of this period conversion on this ..
A well presented, refurbished fourth floor apartment close to Marble Arch and Hyde Park. The apartment comprises a good sized ..
A spacious, newly refurbished one bedroom apartment on the eight floor of this popular 24 hr portered block located only ..
A charming one bedroom flat on the third floor of an elegant purpose built portered block in St. John’s Wood. .. Newly refurbished to the highest standard, two bedroom apartment in this portered building close to Marble Arch and Paddington. The ..
We are delighted to offer this spacious, newly refurbished 1 bedroom apartment located on the 1st floor of this prestigious ..
A charming and well maintained studio apartment on the third floor of this attractive purpose built block with porterage. The ..
A well proportioned excellently presented studio flat on the ground floor of this well maintained 24 hour ported building. There .. Located on the 5th floor of an attractive Marylebone mansion is this stunning 2 bedroom apartment which is has just .. Arranged over 1102 sq/ft, this four bedroom flat offers a bright and airy living space within a lovely Art Deco ..
A modern one bedroom apartment situated in a purpose built block also being next to the icon Abbey Road Studios, .. Ideally located in the heart of St John’s Wood, this bright contemporary one bedroom on the 7th floor flat (with ..
A charming and bright 5th floor flat, newly refurbished to an exceptional standard and very centrally located on Upper Berkeley ..
A fabulous newly refurbished studio flat in a purpose built block with 24 hour porter in the heart of St ..
A bright and spacious one bedroom apartment in this prestigious building close to Regents Park and Baker Street. The property .. This two bedroom penthouse apartment is on the sixth/seventh floor of this prestigious block located in the heart of Marble ..
A delightful modern 4th floor flat with wood floors in a purpose built block situated close to Baker Street and ..
A high spec newly refurbished apartment located within easy reach of Marylebone Village and Baker Street Station. This property comprises .. 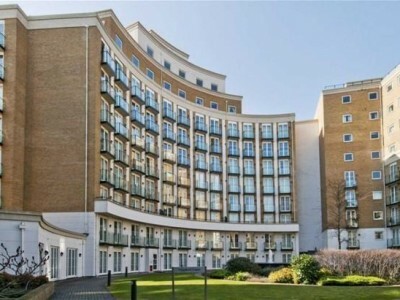 This good size one bedroom apartment is on the second floor of this modern building situated only moments from Regents .. Bright and cheerful 1 bedroom property conveniently located on a quiet tree lined street only a short walk to Maida ..
Castlereagh opened in 1983 and since then has amassed a wealth of knowledge and expertise in all aspects of the central London property business. In doing so we have built up a reputation for our friendly, efficient and professional service that is the envy of our competitors. The company began life in residential lettings. As the business expanded, we moved into property management and later opened a residential sales department dealing mainly with overseas investors. 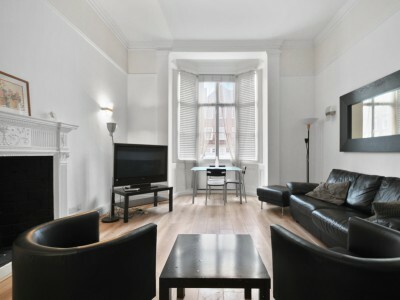 Our management portfolio consists of around 220 units all situated in west-central London, and especially W1H and W1.